A painting of the "The House of Bijapur" was completed in the year 1680, during the reign of Sikandar Adil Shah the last ruler of the Adil Shahi dynasty. In the second half of 16th century, and 17th century under the aegis of Adil Shahis, the capital city of Bijapur occupied a prominent place among the celebrated cities of India. It was a great centre of culture, trade and commerce, education and learning etc. It was known for its own culture called, Bijapur Culture. During Bijapur’s heyday of glory there was a conflux of different communities and the people. Sometimes in many respects it surpassed the great cities of Delhi and Agra of Mughal India. Before Yusuf Adil Shah, the founder of the Adil Shahis could make Bijapur as capital of his newly carved kingdom; the town occupied a considerable importance. The Khiljis made Bijapur their governor's seat, and after sometime Khwajah Mahmood Gawan, the Bahmani premier constituted Bijapur region into a separate province. 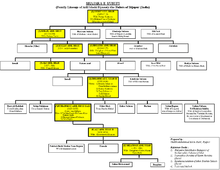 He owned property in Bijapur called "Kala Bagh". He constructed a mausoleum of Hazrath Ain-ud-Din Ganj-ul-'ullum. The architecture of the mausoleums of Hazrath Zia-ud-Din Ghaznavi, Hazrath Hafiz Husseini and Hazrath Hamzah Husseini etc. suggests that these edifices belong to the Bahmani period. Thus Bijapur was fairly large town under the early Sultans of Adil Shahi dynasty. The capital progressed slowly, however its star was in ascendancy since the accession of Sultan Ali Adil Shah I in 1558. His victory in the Battle of Talikota in 1565 and further campaigns in the Krishna-Tunghabhadra regions brought enormous wealth. Hence he began to spend lavishly on its decoration. Under him every year saw some new building, a palace, a mosque, a bastion, or a minaret peeping up its proud head triumphantly. His successor Ibrahim Adil Shah II added, so to say, a pearl necklace, Ibrahim Rouza to enhance the beauty of Bijapur, and Mohammed Adil Shah crowned it with a priceless gem called Gol Gumbaz. Thus the Adil Shahi monarchs poured their heart and soul in the capital city. 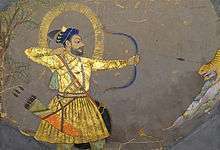 The period between accessions of Ali Adil Shah I 1558 to the death of Mohammed Adil Shah 1656, can be called the golden age of the Adil Shahis as the kingdom flourished in all walks of life. Before the Muslims could establish their rule in Bijapur, it was a great centre of learning in South India. It is evident from the bilingual Marathi-Sanskrit inscription, which is inscribed just under the Persian epigraph in the Karimuddin mosque 16 that the city of Bijapur is given the title of ‘’"Banaras of the South"’’. Since ancient time Banaras in northern India was a celebrated centre of learning. The Khaiji governor of Bijapur, Malik Karimuddin, probably found at this place the great activities of learning; hence he entitled Bijapur as the Banaras of the South. The Khiljis conquered whole south India and they were well acquainted with its famous cities like Daulatabad of Yadavas, Warangal of Kakatiyas, Dwarasamudra of Hoyasalas and Madurai of Pandyas. However, they did not entitle any of these cities as the Banaras of the South, except Bijapur, though these cities were the capitals of ruling dynasties. During the rule of Bahmanis Bijapur retained its academic excellence. The renowned learned Sufi of India, Hazrat Ainuddin Ganjuloom Junnaidi, who authored 125 works of Qur’anic commentaries, Quirat (art of Quranic recitation), Hadith (prophetic Traditions), Scholasticism, Principles of Law, Fique (Islamic Law), Suluk (behavior). Syntax, Lexicography, Ansaab (genealogy). History, Tibb (medicine), Hilmat, Sanf (grammaIj), Quasidah, etc. lived in from 1371, until his death in 1390. 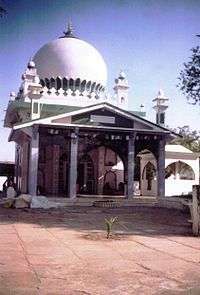 His disciple and other Sufis like Hazrat Ibrahim Sangani and his sons, Hazrat Abdullah AI-Ghazani, Hazrat Ziauddin Ghazanavi and Hazrat Shah Hamzah Hussaini kept their noble litterateur's traditions alive in Bijapur. Under the aegis of Adil Shahis of Bijapur advanced very much in the field of learning. It was considered as the 'Second Baghdad' in scholastic activities in the Islamic world. 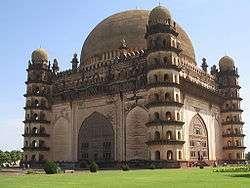 Owing to its popularity in this sphere Ibrahim Adil Shah II named it ‘’”Vidhyapur”’’ All Sultans of Bijapur were men of letters. Ali Adil Shah I was well versed in religion, logic, sciences, syntax, etymology and grammar. He was fond of reading to the extent that he kept with him big boxes of books, while on tour. All Sultans patronised the teachers and scholars. It was routine in the capital that the scholars met at different places, and among them learned discussions were held. At the capital the Royal Library was existed in which nearly sixty men, calligraphers, gilders of books, book binders and illuminators were busy doing their work whole day in the library. Sesh Waman Pandit was the Royal Librarian. 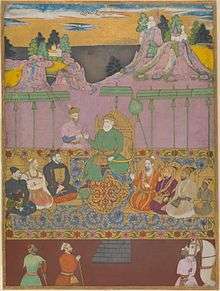 Ibrahim-II's court poet Baqir Khurd-e-Kasm worked as transcriber in the Royal Library. The noted scholars in the capital were Shah Nawaz Khan, Abdul Rasheed-al-Bastagi, Shah Sibagatullah Hussaini, Shaikh Alimullah Muhaddis (a teacher of Sayings or Traditions of Mohummad, and Theology in Jumma mosque), Mullan Hassan Faraghi, MullanHabibullah, Shah Mohummad Mulki and Shah Habibullah Hussaini. 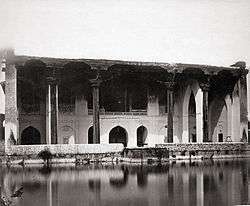 Shah Zayn Muqbil, a great lover of learning and books, had eight hundred manuscripts in his library, out of these over three hundred were written by him. Miran Mohummad Mudarris Hussaini was also a great teacher. At the Asar Mahal there were two Madrasas (religious schools), one for teaching Hadith (Tradition) and another for Fiqah and Imaan (Theology and Belief). Free education with delicious food, and stipend of one Hun to each student was provided. The Mosques had the Maktabs (elementary schools) where Arabic and Persian studies were taught. The state supplied books free of costs. The students who performed excellently in the annual examination, received prizes in Huns, and later appointed in high and honourable position. Besides these, most of the Sufis maintained their own Khankhas (convents for disciples) and Kutub Khanas (libraries). Even to this day some of the descendents of Sufis in perpetuity continued this tradition. In consequence of state patronage, a bulk of literature in Arabic, Persian and Dakhani Urdu had come up. 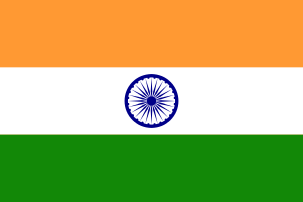 In addition, the languages like Sanskrit, Marathi and Kannada flourished. 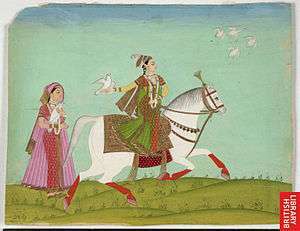 Pandit Narhari, a court poet of Ibrahim Adil Shah II, composed the poetic excellence on his master, called, 'Nauras Manzarf’. Shri Laxmipathi, a disciple of Pandit Rukmangada composed a number of Marathi and Hindi devotional songs set in musical Ragas. Swamy Yadvendra was also a prominent contributor in Marathi literature. In the south of kingdom, the official transaction was carried out in Kannada. Dr. Zaman Khodaey says, in the kingdom of Bijapur the medical aids and Darush-Shafa were existed. In the hospitals the different Departments dealt and treated different fevers, eye and ear problems, skin and other diseases. We have references that in the kingdom the physicians practised the Unani, Ayurvedic, Irani and European systems of medicine. Hakim Gilani and Farnalope Firangi, a European physician and surgeon worked under Ibrahim Adil Shah II. 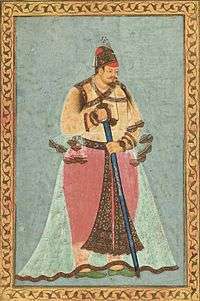 Farnalope treated his ailing patron wrongly, which caused Sultan's death. Khawas Khan caught him, and as a punishment his nose and lips were cut off. Nothing daunted, Fanalope returned to his home and cut off the nose and lips of one of his slaves, and so fastened the same to his own that he was soon cured even of scars. He lived long in Bijapur and resumed his practice with great success. Aithippa, an Ayurvedic physician, who was attached to a dispensary at Bijapur compiled for his son Champa, Tibb-e-Bahri-o-Barri, a treatise on medicine. It contains a short vocabulary of some parts of the human body and some drugs with their equivalent in Arabic and Hindi. It further contains hints as to the examination of patients and symptoms and treatment of diseases. He had spent a long time attending upon and getting instruction from Hakim Mohummad Hussain Unani and Hakim Mohammad Masum Isfahani. The great historian Firishta was an expert Ayurvedic physician. He studied this system under Hakim-e-Misri and other Hindu physicians. After attaining proficiency, he started his own dispensary and prepared patent drugs and popular medicines. He possessed a great knowledge of Sanskrit, hence studied thoroughly works of Ayurveda like the Samhitas of Wagbhat, Charak and Sushrut, and wrote Dastur-e- Attibba or Iktiyarat-e-Qasmi. In this book he mentioned the names of famous Ayurvedic physicians like Jagdeva, Sagarbhat and Sawa Pandit. He cites in the names of various diseases, herbs and drugs and also discusses simple and compound medicines and formulae of their preparation. The book is fairly comprehensive as its scope extends to anatomy, physiology and therapy. It seems Firishta was an expert in Botany as well. He gave details of minutes regarding characteristics of medicinal herbs, plants and fruits of India. Another physician Hakim Rukna-e-Maish skilled in medicine stayed in the court of Ibrahim Adil Shah II for some time before he joined the Mughals. At the instance of the same Sultan; Yunus Beg completed Kitab-e-TIbb, a work on medicine. The court poet of Mohammed Adil Shah, Hakim Aatishi possessed a unique skill in medicine and served as the Royal Physician. He was a personal physician of the Sultan, without his permission he could not attend other patients. With permission once he cured Khan-e-Khanan Ikhlas Khan. Aatishi took this onerous duty only when other physicians altogether failed. By his miraculous treatment patients recovered within three weeks. 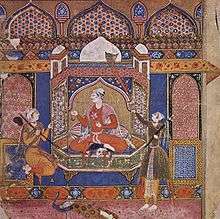 Thus the Adil Shahi Sultans and the nobles never overlooked the medical services and always encouraged the physicians giving them handsome rewards. It because of such encouragement some of the physicians produced literature on medicine. Muhammad Qasim Firishta wrote that in year AH 1008, Mir Mohammed Swaleh Hamadani came to Bijapur.He had with him some hair of the Hazarat Muhammad ("Mooy-e-Mubarrak"). 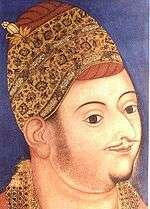 Sultan Ibrahim Adil shah heard of this him and rejoiced. Meeting Mir Swaleh Hamdani, the King saw the hair and gave priceless gifts to Mir Sahab. Mir Sahab gave two strands of the hair to Sultan Ibrahim Adil Shah. At first, they were kept in Gagan Mahal, but during the reign of Adil Shah a huge fire burned down Gagan Mahal. Everything there burnt up, except the two boxes in which two strands of hair were kept. In the midst of the conflagration, a man named Ali Khan braved the flames, entered and carried the boxes out on his head; the Sultan then kept these boxes in Asar Mahal. Hazarat Muhammad Tahvildari (custody) has been given to Hafiz Ahmed Walad Shaik Muhammad Tahvildar issued by AdliShahi Diwan to Tahvildar family. (till today Original Sanad is with Tahvildar family.) for annual function celebrating on the day of every year 12th Rabbiual (Sandal & Urus Asar Mahar) this function done by Tahvildar family regularly since from more than 350 years. At present every year 12th Rabbiual The Asar Mahar Sandal Urus conducted by Tahvildar family under the supervision of Al Haj Abdul Razak Sayed Ahmed Tahvildar-e-Asar Mahal Bijapur. It is said that in the year AH 1142 Adil Shah used to frequently view these strands of hair. On one occasion he asked all the sufie's of that time to come and see them. So Hazrat Hashim Husaini and Hazrat Shah Murtuza Quadri Haidari came there and asked to open the boxes; they were opened in front of the noble persons. But as they were opened a bright ray was everywhere. Nobody could bear the brightness of the ray and they all became unconscious. Everywhere there was a perfume. Then everybody saw the hair. After that period it is said that that boxes neither opened nor had a privilege . ↑ Alam, Muzaffar (1998). "The pursuit of Persian: Language in Mughal Politics". Modern Asian Studies. Cambridge University Press. 32 (2): 317–349. doi:10.1017/s0026749x98002947. Ibrahim Adil Shah, who ascended the throne in Bijapur, the Deccan, in 942/1535-36, is reported to have proclaimed Hindavi (in this case Marathi) as the language of his government, entrusting all the important administrative and financial offices to the Brahmans.